There is no doubt that parents and guardians are instrumental in the formative years of a child’s life, and this was certainly the case for Robert Burns. One of his most famous poems, Tam o’ Shanter, was inspired by stories Burns’s relative Betty Davidson used to tell him in his childhood, and he credited Betty with ‘the largest collection in the country of tales and songs concerning devils, ghosts, fairies, brownies, witches, warlocks, spunkries, kelpies, elf-candles, dead-lights, wraiths, apparitions, cantraips, inchanted towers, giants, dragons and other trumpery’ which later inspired many of his folklore related poems. 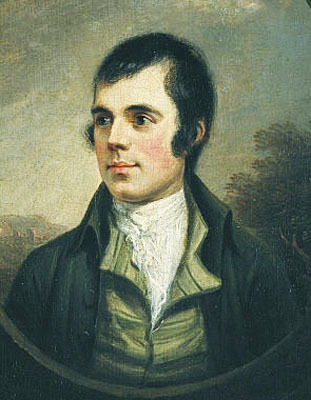 Burns’s father, William, was also hugely influential – Burns himself explained that the Cottar’s Saturday Night is loosely based on his experiences growing up on a farm, and William’s desire to ensure his children were educated meant that Robert received the schooling he needed to write his poetry. However, the person who would no doubt have had the largest part to play in raising the young Bard was his mother, Agnes. 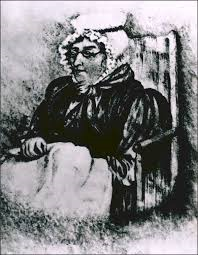 Born Agnes Broun in 1732 in Kirkoswald, the eldest of six children, she received some formal schooling and was taught to read a little, but could never write. Her mother died when she was ten, and her father remarried and seemed to take little interest in her after that. She was sent to be looked after by her grandmother, Mrs Rennie, whose collection of songs and ballads would have probably inspired Agnes’s love of singing. Young Agnes was initially engaged to a farmhand for seven years, but broke off the relationship after he was unfaithful. She married William in 1757 after meeting him at a fair in Maybole the year before, and the couple went on to have seven children – Robert, Gilbert, Agnes, Annabella, William, John and Isabella. Agnes loved singing. She had a find collection of lullabies, ballads and even bawdry songs in Scots which she would sing to her children from a young age. This would no doubt have made a huge impression on the young Bard, who later went on to collect many old Scottish songs and ballads in The Scots Musical Museum. Once again, his upbringing against a background of traditional Scottish music and folklore was the perfect inspiration for future literary endeavours. Alongside her singing and domestic chores, she also played an important role in the development of the farm at Burns Cottage – she would have grown vegetables and made butter and cheese from the milk produced by the family’s cows. Many famous historical figures are men, however the majority of these men were raised by women. There is little doubt that Agnes Broun had a large formative influence on her son, and inspired his love of music and song, as well his appreciation in later life of women who had a musical ear. She not only physically gave birth to Robert Burns, but also brought him up to become Scotland’s National Bard. This entry was posted in Burns Cottage, Robert Burns and tagged 18th century, Agnes Broun, Agnes Burns, Alloway, Ayr, Ayrshire, Bard, Burns Cottage, Dairy farmer, Farmer, Folklore, history, Inspiration, Mother, National Bard, National Trust for Scotland, Poet, poetry, Robert Burns, Scotland, Scots, Scots language, Singer, songs, Stories, Traditional music, Women in history.